Like any loan or form of credit, it costs money to obtain a payday loan. You must take this in to account when deciding whether to borrow. Payday loans are a short-term commitment of no longer than 30 days and are required to be repaid in full, in one lump sum. There are no installments like there are with regular personal loans. Because of this, you don’t have to worry about ongoing interest charges or the annual percentage rate (APR). There is only one single charge that is taken at the same time as the repayment of the principal. This charge will be made clear to you before you sign the agreement, so you will know exactly how much you need to pay and when. The finance charge is based on an underlying APR, which will also be presented to you before you make your decision. However, long as you make the repayment you only need to be concerned about this single charge. We are not a lender or a loan broker, rather we provide a free service that can connect you with reputable payday lenders online, saving you the hassle of doing it yourself. We don’t make any decisions about whether you should be granted a loan or the terms of that loan, so we cannot directly advise you on the interest you might be charged. However, the average APR within the overall payday loan industry roughly falls between 260.71% to 1825%. 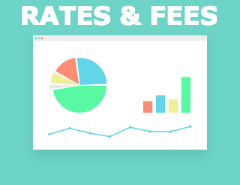 The amount a lender will charge you for taking out a payday loan will vary depending on the information you submit in your application (riskier borrowers are typically charged higher rates), the amount you borrow (the higher the amount usually means the lower the rate), and their own internal policies. Interests rates may also be regulated at the state level, with some states setting a maximum limit on what can be charged. Lenders in our network aim to be fair and competitive. How Do I Find Out My Interest Rate? The only way to accurately find out what you will be charged for taking out a payday loan through our system is to submit your details and connect with a lender. The lender will provide this along with the offer and you will also get a digital copy of the full terms and conditions before signing the contract. If after receiving an offer and seeing how much you will be charged, you change your mind, you are free to walk away with no obligation. Simply close the page. The loan is only legally binding once you sign the contract, at which point the deposit process will begin. Note: Once you submit an application with a lender a credit check may be carried out and this will be noted on your credit report. Our lenders will never surprise you with hidden fees or interest. The only time you might be charged more than one fee is if you fail to make the full payment on the agreed-upon date. These potential fees will be noted in your copy of the terms and conditions of the loan. Once again, the exact amounts charged will vary from lender to lender and the process is also regulated by state law. If you have any concerns, you should content the lender directly. Some lenders may offer the option of officially renewing or extending your loan past the original date of repayment. This will come with added fees or interest, but will not be classed missing the payment/defaulting. This is not available in every state and not all lenders have it as an option. Failing to repay the full amount of the principal and finance charge on the designated date will typically be classed as late or non-payment, and will negatively affect your credit score. As previously mentioned, you may also incur added fees and interest. If you fail to respond to the lender they are permitted to begin collection proceedings, which may involve emails, letters, phone calls, and doorstep visits in an attempt to recover the debt. They may also eventually pass the debt on to a debt collection agency. If you believe you will be unable to pay back your loan, it is important to contact the lender right away to discuss the available option. As an informed borrower, it is your job to read and understand the terms of the loan and to make the repayment on the agreed-upon date.